Obituary for Steve Chemerinski | Westlock Funeral Home & Crematorium Ltd. It is with profound sadness that we announce the passing of our dear father, Steve, who died peacefully at home on April 9, 2019 at age 90. Steve was born in High Prairie, Alberta and eventually moved to Westlock, Alberta, in 1963 where he ran a successful business until his retirement in 2000. He will be fondly remembered for his devotion to family, personal integrity, strong work ethic, wisdom and engaging smile. He was predeceased by his wife, Allyson (nee Ragan) in 2012, as well as by his parents, Herman and Rose, his brothers Fred and Emile, half-brother Joe and sister Leda. 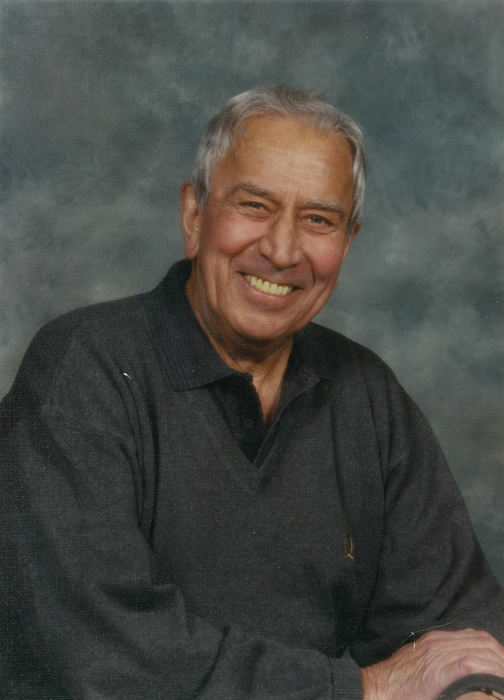 He will be lovingly remembered by his three children, Patricia, Lauren (Jack) and Brock; his grandchildren, Tracy (Dave), Gordon (Vanessa), Erynne (Shawn) and Lindsay (Anthony); his great-grandchildren, Nate, Addison, Cole, Brant, Nash and Ethan; and his only surviving sibling, Liz (Vancouver, B.C.). Special thanks are extended to Dr. Peter Newnham, Arlene from North Home Care/St. Albert and Lyle and the Nursing staff at the Citadel Mews West for the compassionate care they provided to our father during his final weeks. A Funeral Mass will be held on Monday, April 15, 2019 at 11:00 am at Holy Family Catholic Parish, 75 Poirier Avenue, St. Albert. If desired, donations can be made in memory of Steve to the Canadian Heart and Stroke Foundation.